It is with great sadness that we announce the passing Gordon A. Hobbs whose family business, C.M. Hobbs Nursery, was one of the founding members of INLA. Gordon contributed so much to the growth of our green industry both locally and and nationally. 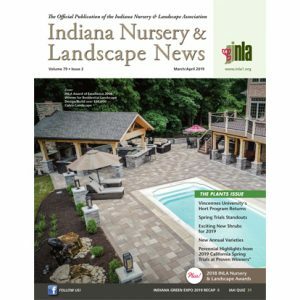 He served as president of the Indianapolis Landscape Association (ILA), the Indiana Nursery and Landscape Association (INLA), and the American Nursery and Landscape Association. He served on several boards and volunteered his time to anyone who asked. 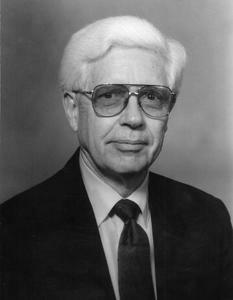 His work within these associations led him to receive the status of Honorary Member of both the ILA and the INLA and was inducted into the ANLA Hall of Fame. He will be missed as a friend, colleague, mentor, and green industry leader. Friends may call on September 25, 2018 with a Celebration of Life from 11:00 am to 1:00 pm at First Baptist Church of Plainfield at 1012 Stafford Road, Plainfield, IN 46168. A memorial service will follow at 1:00 pm. In lieu of flowers memorial contributions may be made to Transitions Hospice, 8935 N. Meridian St., Indianapolis, IN 46260; or if so desired, memorial contributions can be made to the Indiana Nursery Endowment Fund (INLA Scholarship) or Frits Loonsten Scholarship Fund (ILA Scholarship) by sending an email to Rick Haggard | INEF donation form. The family asks that condolences be posted on the Hampton Gentry website and any personal notes be sent to either Rick Haggard or Lori Coffey (Gordon’s stepdaughter) with an open invitation to share a few words on how Gordon Hobbs or Hobbs Nursery inspired you, either personally or professionally. Please keep Norma and the family in your thoughts and prayers.